Take your side channel analysis skills to the next level with this advanced course. During two days of intense training you will learn, in theory and in practice, how to analyze the resilience of advanced cryptographic implementations with strong countermeasures against side channel attacks. This course is aimed at side channel professionals who implement countermeasures and/or security evaluators that use side channels to measure leakage. People attending this training should have experience with performing side channel testing in practice. Experience with the Riscure side channel test equipment is useful but not required. For those who would like to understand the basics of side channel analysis, we offer an Essential SCA training. Take your side channel analysis skills to the next level with our advanced course. During two days of intense training you prepare for analyzing the resilience of advanced crypto implementations with strong countermeasures against side channel analysis. The course has a good balance of practice and theory and you perform hands-on exercises with real-world targets while understanding the theoretical background of the attacks. During the practical sessions you work in small groups using our side channel test equipment. At the end of the training you have a thorough understanding of the commonly applied test methods for high-end cryptographic implementation and you have the skills to apply them on real chip products with strong countermeasures to assess their security strength. The techniques enable you to test the strength of publicly known countermeasures such as masking, key randomization, non-standard and optimized crypto implementations, and random delays. All the topics are explained clearly and with a good set of exercises. The training gave me a big load of information and materials to practice advanced SCA in our site. 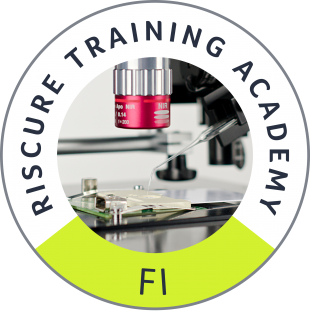 While the concepts we teach are generic and can be replicated using different equipment, during the training we use our Riscure Inspector tools and software. With Inspector we can effectively demonstrate a wide range of concepts; it is an all-in-one solution, is constantly updated and offers state of the art methods of security evaluation and analysis. 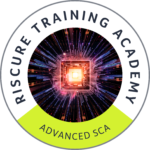 Closely connected with SCA know-how, the Fault Injection experience this training empowers your team with the complete knowledge of hardware security techniques. Advanced FI explores the topic of hardware security in deeper detail for experienced professionals. A practical hands-on course brought by the leading developer of SCA/FI tools. This training helps your development team to adopt the best security practices by sharing a hacker's mindset. Look at your software from a different perspective, understand how it can be hacked and identify ways to mitigate a coding error before it happens.